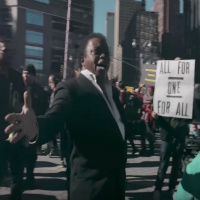 If there were ever a day to post the new video by legendary soul survivor Lee Fields’ for Special Night LP cut Make The World Better (filmed at the President’s Day protest in NYC earlier this year) it’s today. 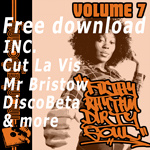 Those who’ve heard the album or caught the track when it was released as a single back in the autumn will know that Fields belts out a message of positivity over storming martial-sounding funk with an urgency that can only be mustered as a consequence of living in our current benighted times. Like other videos of late, it is cut with vintage US civil rights footage almost as if to underscore the fact that the sort of cack-handed, hate-mongering that currently afflicts the world has much in common with previous eras of heavy-handedness by powers that be.